While living alone, I grew to enjoy cooking. Not only was it necessary to my existence, but it was cheaper than eating out. One thing I really came to love was garlic, especially its smell. If a recipe didn't ask for it, I added it anyways. 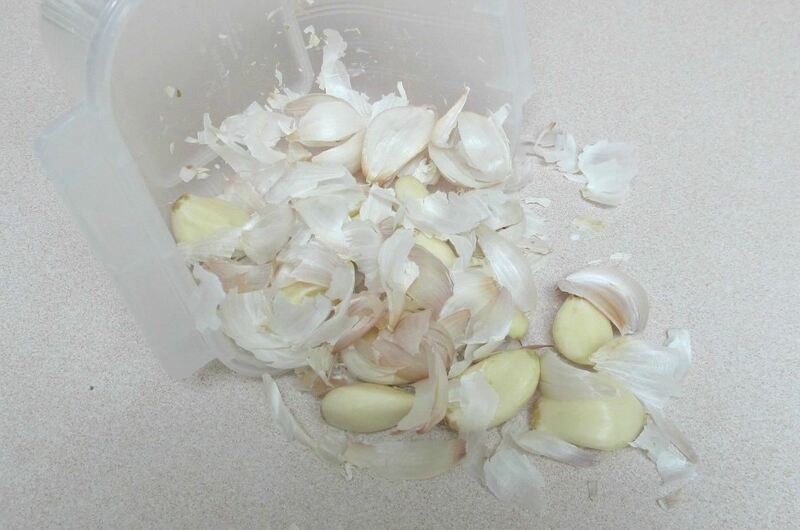 The only thing I hate about garlic is the time it takes to peel the cloves. Sure, I could invest in a jar of minced or peeled garlic, but I don't want to pay more for something I could do myself—and it doesn't seem as fresh. Smashing garlic with a knife works well, but I use a lot of garlic and the knife can only smash so much. The microwave technique also helps, but I still have to peel the hot skin off each individual clove, and I don't want to risk jeopardizing the taste of my garlic by nuking it. 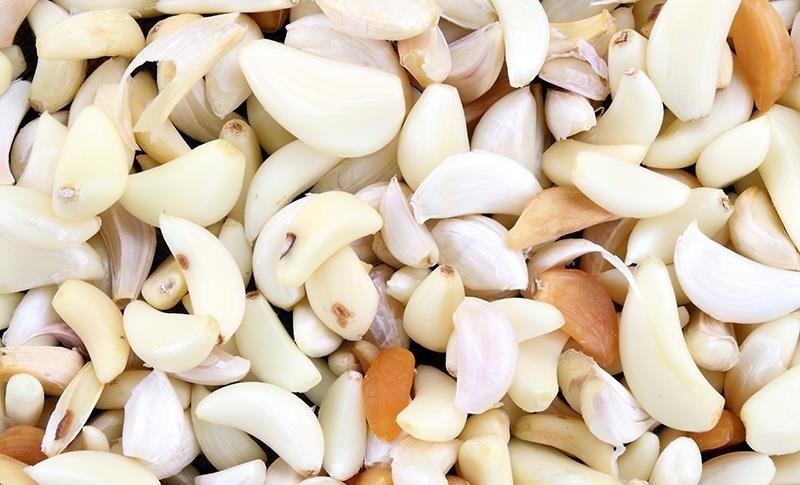 So, what's the solution to peeling garlic—and lots of it—without all the fuss? Here's an easy and fun technique that anyone can use for an entire garlic bulb. If you're just using a clove or two, I'd stick to the smashing with a knife method, but if you tend to use whole bulbs like me, this way is a lifesaver, which I learned from Bonnie over at The Pin Junkie. 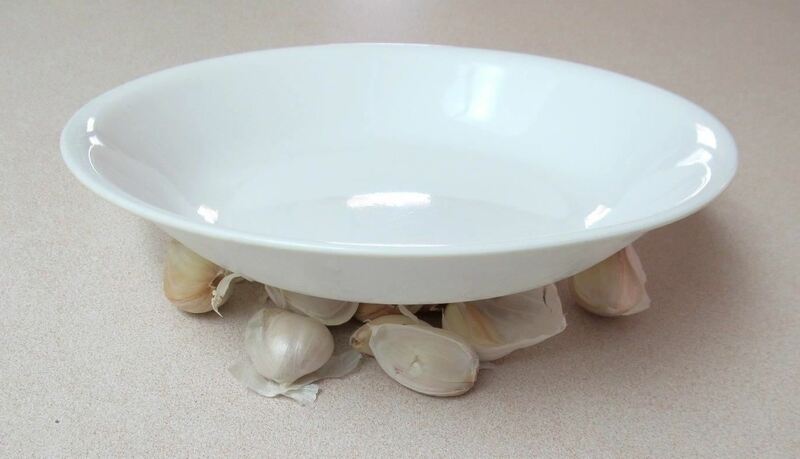 To start, place the entire bulb under a bowl and then smash them. This will separate the cloves. Place the cloves in a sealable container and shake the hell out of it. The container must me somewhat hard because the skins will come off as the cloves knock against the walls of the container. 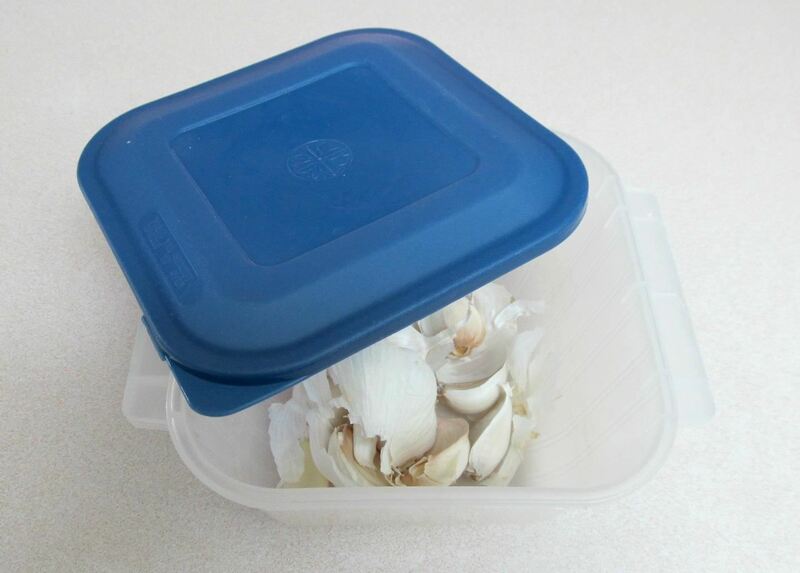 Don't try using a ziplock bag, but if you don't have a plastic container, two bowls together also works well. After shaking the container and looking like a madman doing so (just like you would if turning cream into butter), dump it out and separate the cloves from the skins. You're now ready to mince, cook, or make some awesome garlic-infused olive oil. It only takes some smashing and shaking, both of which a kid wouldn't mind doing, so convince the little ones to help you out. 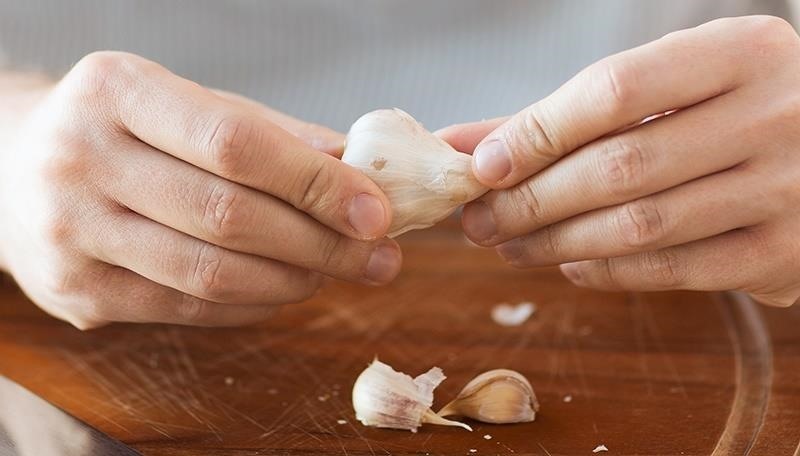 How To: The Ultimate Garlic Cheat Sheet: Which Type of Garlic Goes Best with What? How To: Do the Sliced Banana Trick! The Ultimate Onion Cheat Sheet: Which Onion Goes Best with What?